Creating wireframes or mockup is a great way to test an early version of your app and also helps developers when it comes to coding. But there are a ton of wireframing tools available to do it with. There comes free and paid versions also. To know which one suits you more, just try the free – trial period offered for each. Here is a list of 20+ wireframe tools for designers. Moqups is a streamlined and intuitive web app that helps you create and collaborate on wireframes, mockups, diagrams and prototypes – for any type of project. A simple wireframing tool that doesn’t get in your way. Create and share simple wireframes of websites and mobile apps. It offers a clutter free environment instead of countless toolbars and icons. 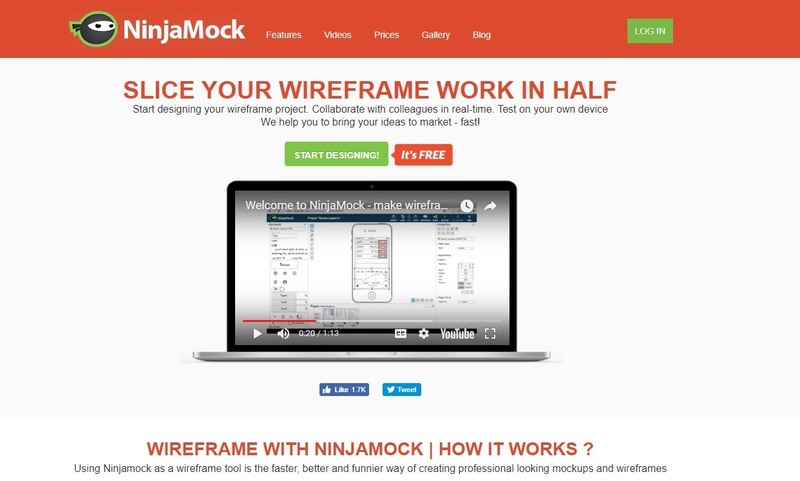 Lightweight online tool for creating and sharing mockups (wireframes). It is easy, fast and free in use. Lucidchart provides an intuitive and collaborative diagramming solution for your entire organization. They focus on quality, security, and affordability. Fluid UI is a browser-based wireframing and prototyping tool developed by Fluid Software and used to design mobile touch interfaces. Developed by Fluid Software. An open-source GUI prototyping tool that’s available for ALL platforms. Easily install and use to create mockups in popular desktop platforms. Lumzy is a quick prototyping and mockup tool. It has a real image editor in-built. You can share a project with others by simply sending them a URL. Open source free wireframing tool written in typescript, react and redux. The documents are stored in the Google Cloud storage. 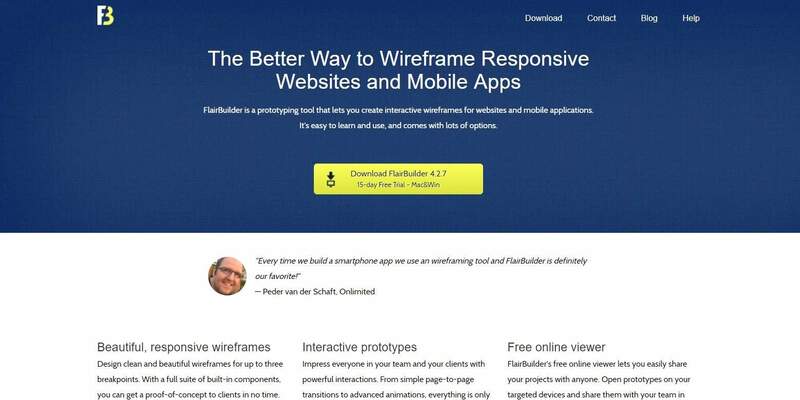 FlairBuilder is a prototyping tool that lets you create interactive wireframes for websites and mobile applications. It’s easy to learn and use, and comes with lots of options. It comes with a 15 day free trial. After the trial ends you are not be able to save your projects but can be saved on your computer. Create fully-interactive high-fidelity prototypes that look and work exactly like your app should. Use the beautifully crafted UI components for iOS and Android. Also import designs from sketch and photoshop. A necessary blueprint for development projects, a wireframe can be used for a website, home page, mobile app or video game. Wireframe shapes and templates make it easy to create professional wireframes. MockFlow provides a full stack UX solution for design teams that includes wireframing, sitemaps, UI spec systems, design workflow and more. This service is offered by ‘A Produle Systems (P) Limited’. Online diagram software to create and securely share flowcharts, wireframes, UML models, network diagram and more. You can embed your diagrams in a wiki, website, or blog, and they will automatically update when edited in Cacoo. Balsamiq is a rapid wireframing tool that helps you work Faster and Smarter. It offers 3 versions namely: Web App (Balsamiq Cloud), Desktop App (Balsamiq Mockups 3 for Desktop), Google Drive Add-On (Balsamiq Wireframes for Google Drive). In Web App data is saved in the cloud, files saved on your hard drive in Desktop App, data saved in Google Drive in the third version. HotGloo is a UX, wireframe and prototyping tool designed to build wireframes for web, mobile and wearables. It helps to visualize planning processes, build and test drive interactions very easily. UXPin is a product design platform. It allows to design, collaborate, and present wireframes, mockups, and prototypes. It allows product teams and designers to build low and high-fidelity, interactive, realistic web and mobile wireframes and prototypes. Pidoco is a collaborative online wireframing and prototyping tool, which works entirely in your web browser. With Pidoco you can easily create clickable mockups, wireframes and GUI prototypes without programming. Free UI prototyping tool to design hi-fi prototypes and wireframes for your websites, web and mobile apps. Frequently updates UI libraries to jumpstart your wireframes and create beautiful designs. Also offers pre-built UI libraries specifically designed for iOS, Android and other mobile devices. Axure RP Pro is a wireframing, rapid prototyping, documentation and specification software tool aimed at web and desktop applications. It offers drag and drop placement, resizing, and formatting of widgets. PowerPoint toolkit for creating wireframes and mockups of mobile, web, and desktop applications. Whimsical includes a rich library of configurable elements like buttons, inputs, checkboxes, and more for designing wireframes, flowcharts and sticky notes. Quick lookup and keyboard shorcuts makes wireframing faster than ever before. NinjaMock includes all of the typical stencils (hand-drawn) for Android, iPhone, iPad, Windows Phone, Microsoft Surface, websites and freehand. Hand-drawn stencils helps people to concentrate only on the interaction and content in wireframes rather than on colors, style, detailed layout and other high-fidelity aspects. 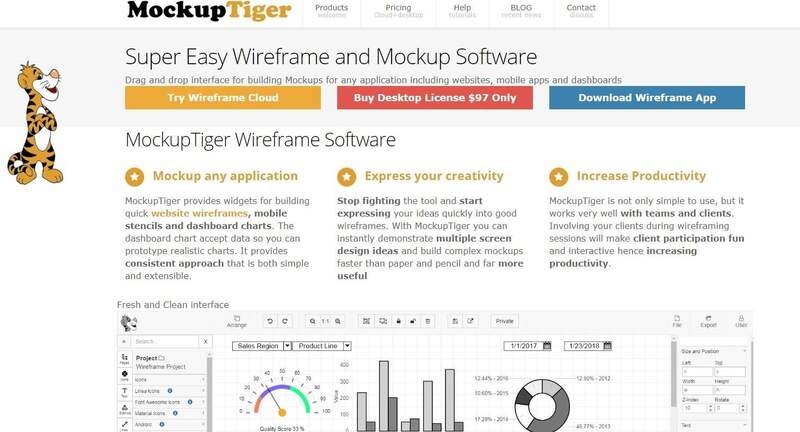 MockupTiger provides widgets for building quick website wireframes, mobile stencils and dashboard charts. Wireframes can also be used to make secondary and global navigations and ensure that the structure and terminology used for a website will be able to meet user expectations. 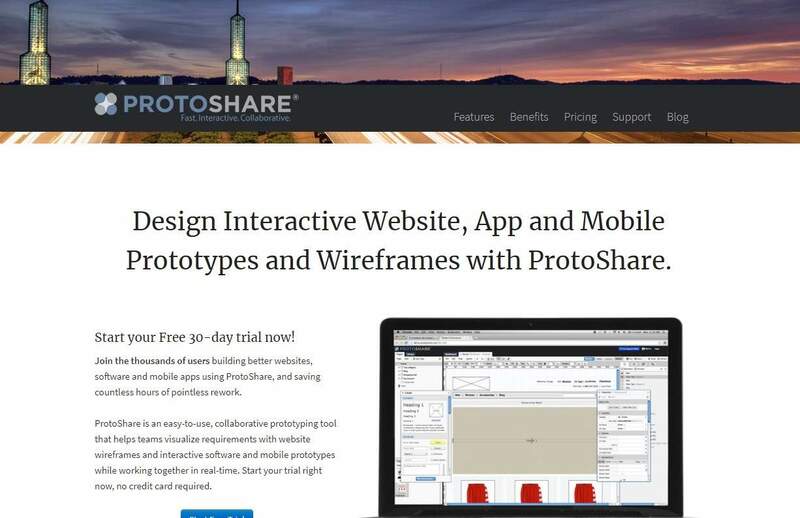 ProtoShare is an easy-to-use, collaborative prototyping tool that helps teams visualize requirements with website wireframes and interactive software and mobile prototypes. WireframeSketcher is a wireframing tool that helps designers, developers and product managers quickly create wireframes, mockups and prototypes for desktop, web and mobile applications. It’s a desktop app and a plug-in for any Eclipse IDE. A collaborative, interactive UI wireframing application for any device and platform. Also it enables to sketch, review, and iterate application user interfaces fast. Are you currently using any of these tools? If so, please share your thoughts and experiences in the comments below. Also if you think there are any others we’ve missed, please let us know on comments below. There are many apps and software out there to wireframe your ideas to clients but cannot forget about basic pen and paper! It’s quick, easy and cheap.